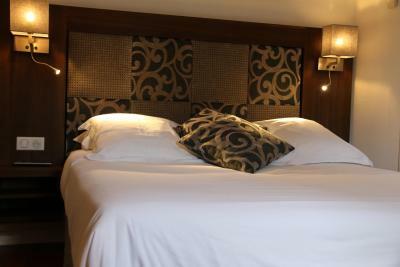 Lock in a great price for Hotel B Lodge – rated 8.4 by recent guests! The staff was great. Very friendly and helpful. The location was perfect! 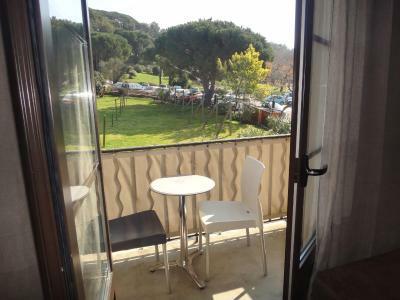 Great location in quiet area of town, but very accessible to everything, including restaurants and nightlife. 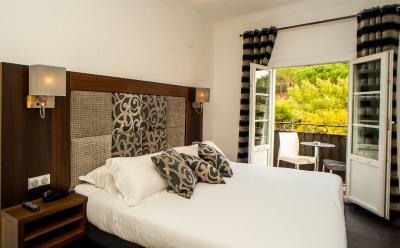 Balcony was small but very enjoyable, Room was clean and staff was accessible and friendly. The situation of the hotel and parking free next to the hotel. Friendly staff. Rather good value for money. Quiet area near the citadelle. 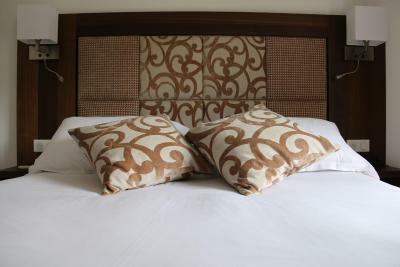 Super clean and comfortable, the bed, the linens, the lighting, the decor, everything was 1st class. 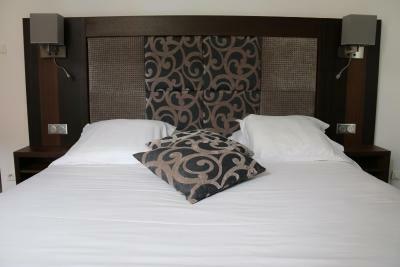 Excellent location, very friendly staff, clean simple room with great air condoning and a small fridge. 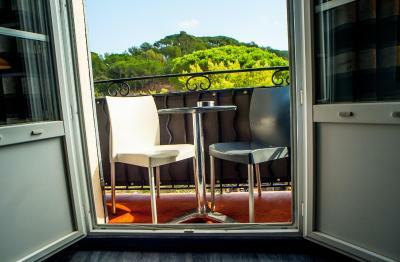 Loved the small balcony off the room with a view of the green hills and a small view of the sea. It was an excellent value in a super expensive town. Would stay here again in a second. Amazing and very helpful staff. Very charming hotel. Feels like home. Excellent location service breakfast and price! Very friendly staff! 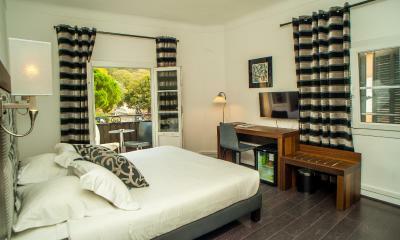 Whilst St Tropez was totally immersed in non stop rain -the check in host was incredibly helpful in sorting out our room making a twin available which had not come through on the booking.com reservation. Very helpful with parking too. Booking.com - we think this is an error in your system. The hotel is in a great spot and we would go back there when it has stopped raining! 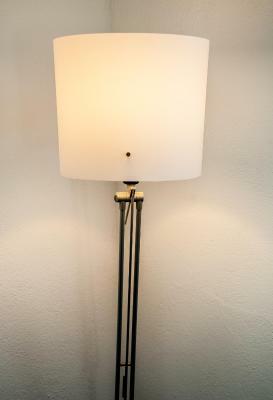 One of our best sellers in Saint-Tropez! Located in Saint-Tropez, 450 feet from Citadel Gardens and 1,000 feet from the Harbor, Hotel B Lodge has rooms with modern décor, a flat-screen TV and a private bathroom. 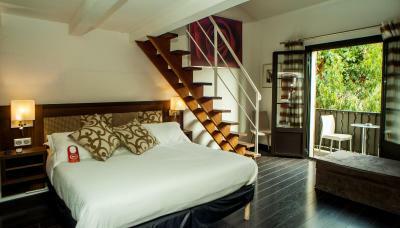 Accessed via a staircase, all rooms at the Hotel B Lodge have air-conditioning. 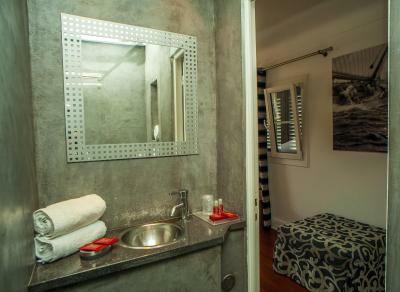 The bathroom is equipped with products and a shower or a bathtub. 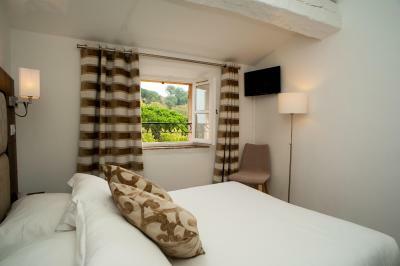 Some rooms have a furnished balcony with garden or city views. A cold buffet breakfast is served daily in the dining area. 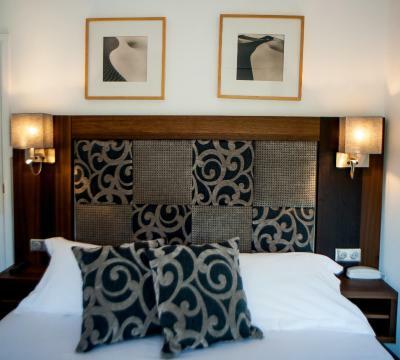 Guests can enjoy a drink at the English-style bar or out on the terrace, while using the free WiFi access. 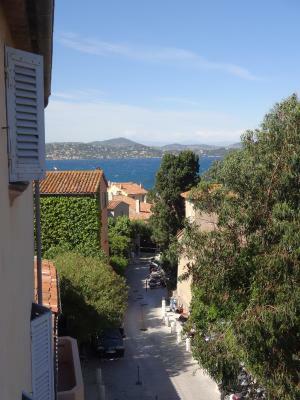 This is our guests' favorite part of Saint-Tropez, according to independent reviews. 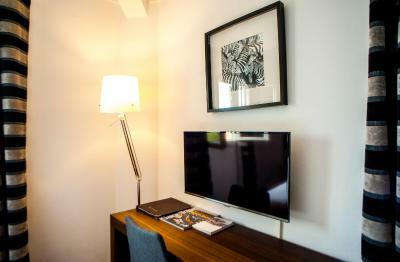 When would you like to stay at Hotel B Lodge? 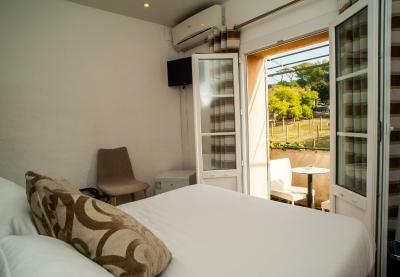 This air-conditioned room has a garden view, a flat-screen TV and a private bathroom with a shower. 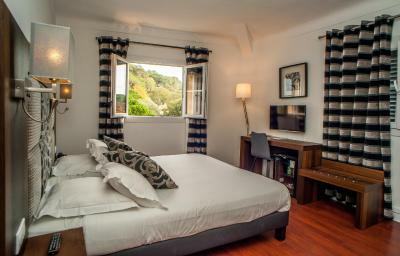 This air-conditioned room has a balcony with garden views, a flat-screen TV and a private bathroom with a shower. 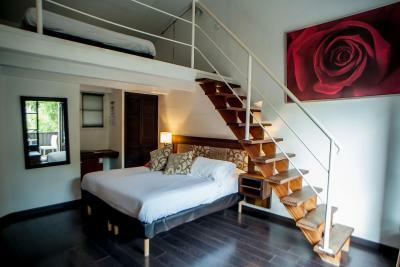 This air-conditioned room has a balcony with a garden view, a flat-screen TV and a private bathroom with a shower. 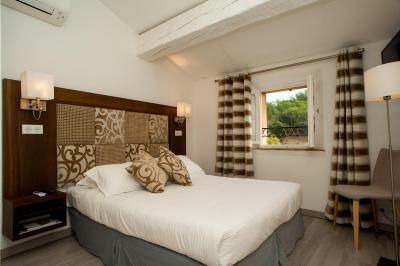 This 21-m² air-conditioned double room has a furnished terrace, a flat-screen TV and a private bathroom with a shower. 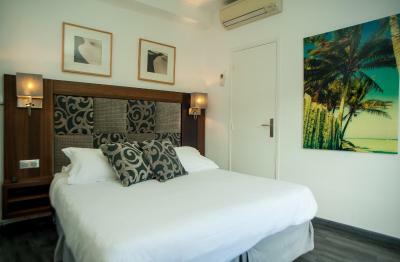 This air-conditioned room has a furnished terrace, a flat-screen TV and a private bathroom with a shower. 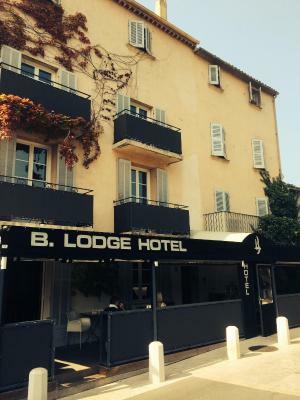 Located in the middle of the village of St Tropez, you will appreciate B Lodge for it is friendly and relaxed environment. 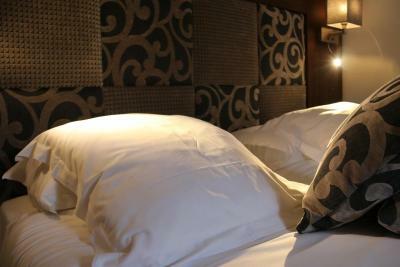 House Rules Hotel B Lodge takes special requests – add in the next step! Hotel B Lodge accepts these cards and reserves the right to temporarily hold an amount prior to arrival. 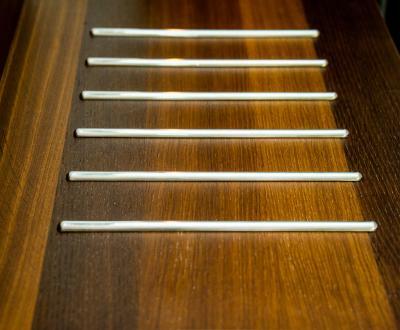 Please note that the bar is opened from April to October. 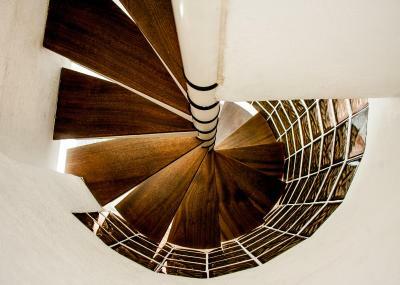 Please note that the rooms are not serviced by a elevator and therefore the upper floors are accessed via a staircase. Rooms were a bit small. Good value for money. 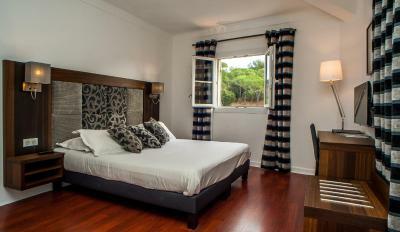 Very close to cafes, shops, restaurants. 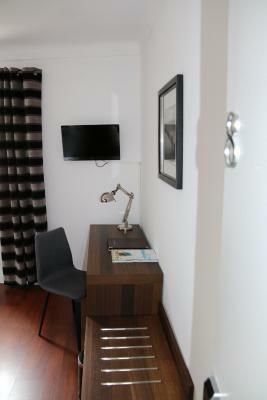 Very clean rooms, everything was working, very friendly stuff. Internet was working very patchy in the room, but good in reception area. Location and reasonable size free parking nearby. Allovated beach space with umbrellas on Pampeloni beach to use by hotel guests. Lady in reception was very friendly and helpful. The only thing that could have been better is if there was an elevator. Nothing really, not much to not like! 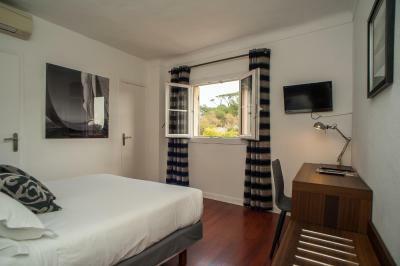 The hotel is in a great location on the edge of St Tropez town centre and a 2 minutes into the town centre, the port and all of the bars and restaurants. 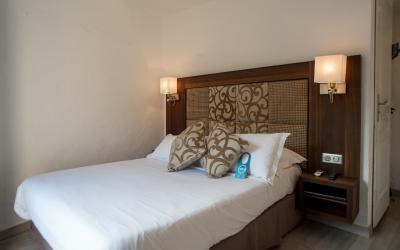 the hotel is very clean and tidy and the staff are very friendly. 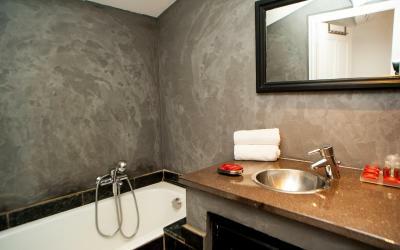 The only thing we would have liked would have been a mirror in the room. 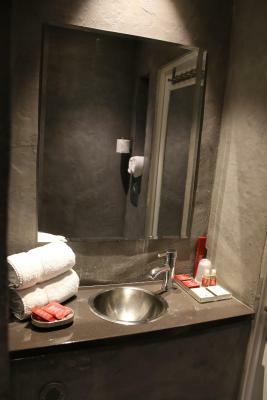 The full length mirror is on the inside of the bathroom door, so when we were getting ready etc, we couldn’t use the mirror if someone was showering. 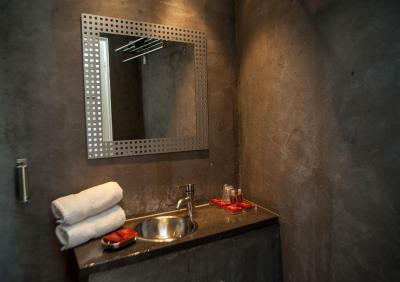 I would have the mirror in place of the picture in the room which would be much more beneficial and you could use it when someone was in the shower room. 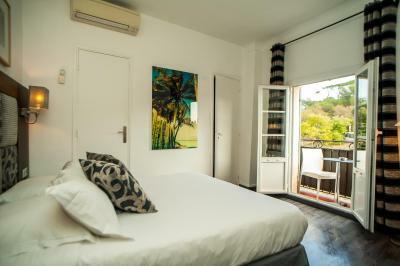 We booked this last minute for a party weekend in St Tropez, the last weekend in July (the biggest weekend in St Tropez season) We are aged 25 and 26. This is not a hotel I would usually stay at, but as it was booked last minute we booked into the first available hotel there was. 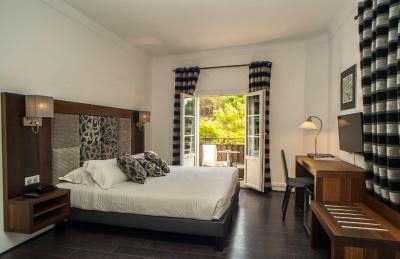 I would usually stay at the Hotel Byblos up the road but this hotel truly exceeded my expectations LOCATION LOCATION LOCATION!!!!! The location is fantastic. I can’t say this enough- this place is in the middle of everything! 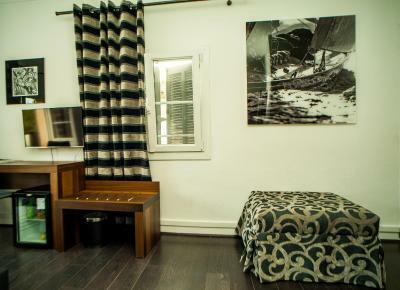 You are literally a three minute walk to the port from the hotels from door, and easy walking distance for all the clubs VIP ROOM, Gaio, L’Opera, L’Quai, Senequier and being only 300 yards from Les Caves Du Roy- you can literally stumble back to the hotel! 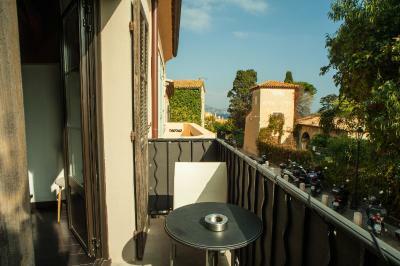 For sightseeing, the hotel is at the bottom of the citadel and you get fantastic views from the top of there looking over St Tropez and being surrounded by ancient streets, beautiful looking houses and all the while moving out the way of brand new Rolls Royce’s, Bentleys, Ferrari’s etc. 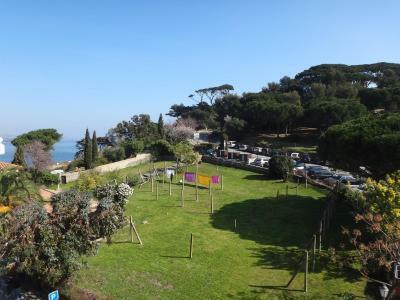 It is surrounded by small shops and art gallery’s, and being a short walk from the sea you can go swimming and then make your way back to the hotel. 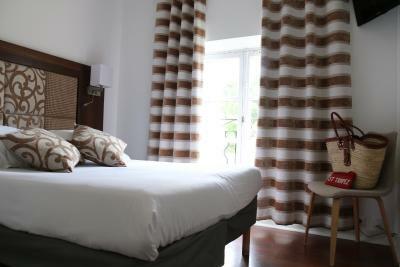 The rooms are fantastic. 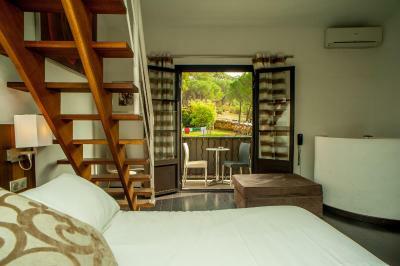 We had a double with balcony which was spacious and had more than enough room for our suitcases and all our clothes in the wardrobe. The room also had a safe which we didn’t use, but was nice to know it is there. 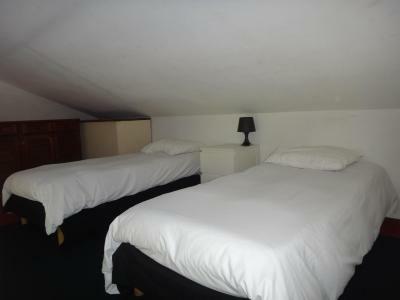 It had air conditioning which was so nice and the beds were super comfortable, all very adequate with. 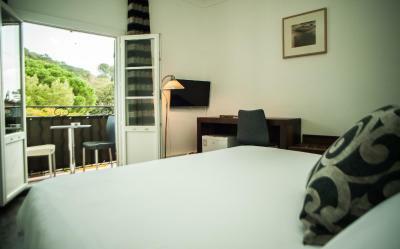 The room has a largish balcony with a table and two chairs with a stunning view of the citadel and the sea. 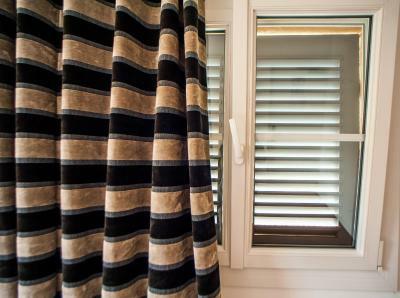 Large French doors open into the room and is just beautiful. The fridge contained a variety of soft drinks and water which was much needed- coke, lemonade, Evian water etc Shower room, whilst small was perfectly adequate and suited our needs. 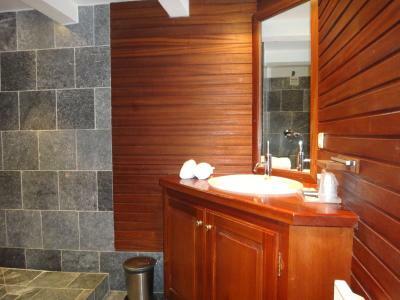 Shower gels, facecloths and towels all provided. 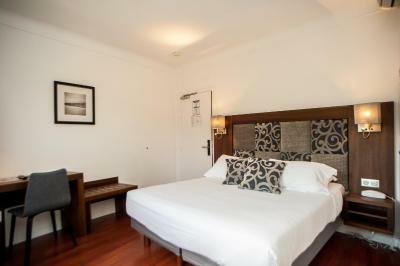 Clean and simple hotel with good value for money. 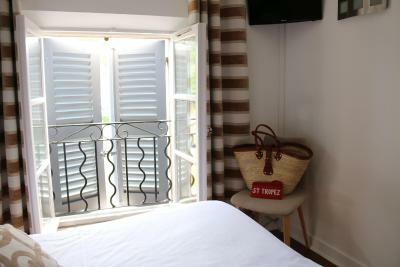 The location was the best part, within seconds of so many lovely restaurants and the citadelle, and a couple of minutes walk away from the main square and the port. The staff were super helpful. We loved our stay here! 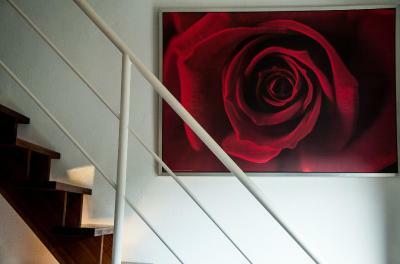 As almost all hotels in Saint-Tropez it does not have elevator. But everything was very fine. Everything fine. Good breakfast wonderful staff.